Hellmann’s mayonnaise different texture: Has something changed in Unilever’s recipe? 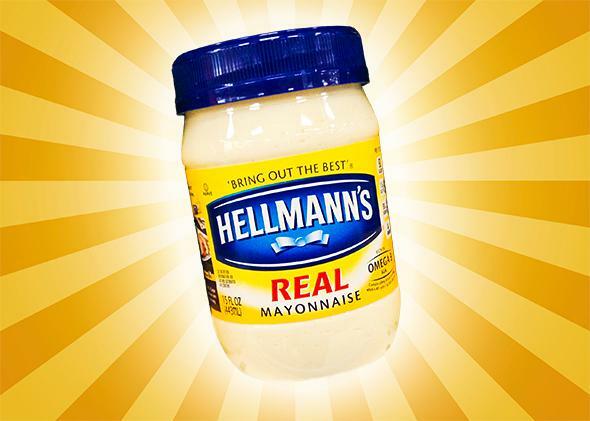 What’s Going on With Hellmann’s Mayonnaise? Something is different about Unilever’s signature spread, but it’s not clear what. Hellman’s Mayonnaise: The difference is Real. Photo illustration by Slate. Photo courtesy Mike Mozart/Flickr. Hellmann’s Real Mayonnaise has been smeared in the news lately, thanks to a lawsuit filed by its parent company, Unilever, against fledgling vegan “mayo” purveyor Hampton Creek. The case rested on the notion that Hampton Creek’s flagship product, Just Mayo, is not, in fact, mayo, according to the Food and Drug Administration’s definition of mayonnaise, because it contains no eggs. About a month after filing it, Unilever dropped the lawsuit, and with good reason. By picking this fight, Unilever came across as a bully and generated the kind of publicity for its startup rival that money can’t buy. Hampton Creek was able to leverage the ensuing sympathy it received into $90 million in additional financing. Unfortunately for Unilever, the fallout from this lawsuit might be the least of its concerns. According to longtime Hellmann’s loyalists and professional tasters alike, the company has been messing with the world’s favorite mayo. Even my husband knows it’s not the same. Instead of a thick and almost sturdy mayonnaise, the “Real” jar now contains a oily oozy glop. Really, change it back. If my husband can tell it’s different, then everyone knows. Please, change it back. This is a total wipeout. I’ve been using Hellmans mayo for over 50 years. I’m very disappointed about the changes that have recently been made to the recipe. It impacts the taste, texture and consistency in a negative way. I haven’t tasted this new formula side by side against any other brands, so I can’t say whether or not it’s still my preferred mayo. Any chance you’ll go back to the old recipe? Some commenters even invoked the dreaded specter of another mayo substitute, the very name of which is known to give chills to aficionados of real mayonnaise. The new mayo is terrible, I could never make sandwiches or salads without it. Now my potato salad looks runny the very next day. I wish they would go back to their original recipe. Won’t buy it anymore. Miracle whip here I come. It had been about a year since my previous taste of Hellmann’s (thanks to my Vegenaise kick), and I figured that if something had changed since then, I’d probably notice it. And indeed I did notice a difference. To me, the charges of soupiness were on the mark; it seemed less viscous than I recalled. With less certainty, I wondered if the flavor wasn’t as bright as it used to be. I was visiting my parents at the time, and a friend of theirs who was over, upon hearing of my inquiry, said she had herself noticed a difference in Hellmann’s lately. In March, to improve the stability and quality of our Real mayonnaise products, Hellmann’s has slightly increased the sodium level. This ensures a consistent high quality product throughout the product’s 9 month shelf life. In 2003, whole eggs & egg yolks have become the third ingredients. This minor modification will improve product stability & result in less separation. Every effort is made to ensure that we maintain the great taste and quality of our mayonnaise to which our consumers have become accustomed. It was Unilever’s word against my—and dozens of irate, if amateur, commenters’—taste buds. It was certainly possible, if not likely, that we were all deluding ourselves, so I contacted someone who I thought could weigh in on this matter with authority and objectivity, an expert taster whose job is to notice differing minutiae in food products. Joanne Seltsam is a descriptive taster for Sensory Spectrum, a consulting firm that specializes in the “sensory consumer experience.” She’s also very familiar with Hellmann’s. I had interviewed Seltsam for my 2013 article about why Hellmann’s mayo is so great, and she’d raved about Hellmann’s as being a nearly perfect product. In light of the recent allegations, I convinced Seltsam to pick up a new jar and give it a try. Here is what she wrote to me after she conducted an informal taste test with some colleagues. The texture is definitely different. It’s much smoother (used to have a rougher, almost curdled appearance when you dragged a utensil through it). This new texture is apparent in mouth as well (if you eat it from a spoon—not sure if you’d notice after spread on a piece of bread with turkey and cheese on it …). The new texture is more characteristic of their low(er) fat version. This would appear to vindicate those irate commenters—but Seltsam informed me that just because Hellmann’s tastes different, it doesn’t mean the ingredients, or “formula,” changed per se. The difference could be due to what Seltsam calls a “processing parameter,” which she explained was “a change in the processing, like temp, or the order the ingredients are added, or even a new piece of equipment.” Inconsistencies in storage conditions could play a role as well. Unilever’s Larsen emailed that according to the company’s records, there has actually been “a decrease in consumer complaints within the last year.” Regardless, if Seltsam’s panel of experts say that something is different, I’m inclined to believe them. Unilever regained some of its lost good will in the eyes of the public by dropping its suit against Hampton Creek. But Hellmann’s won’t fully regain its reputation with mayonnaise lovers until that sturdy, thick body makes a comeback. Whatever’s really going on here, the dollop is in your court, Unilever.